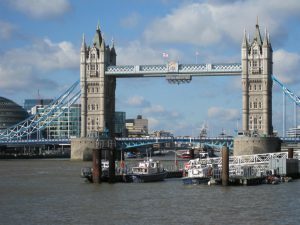 This year our regular guide, Pete Smith, led us on a very interesting walk titled ‘Police, Pubs and Pirates: a walk round Wapping’. 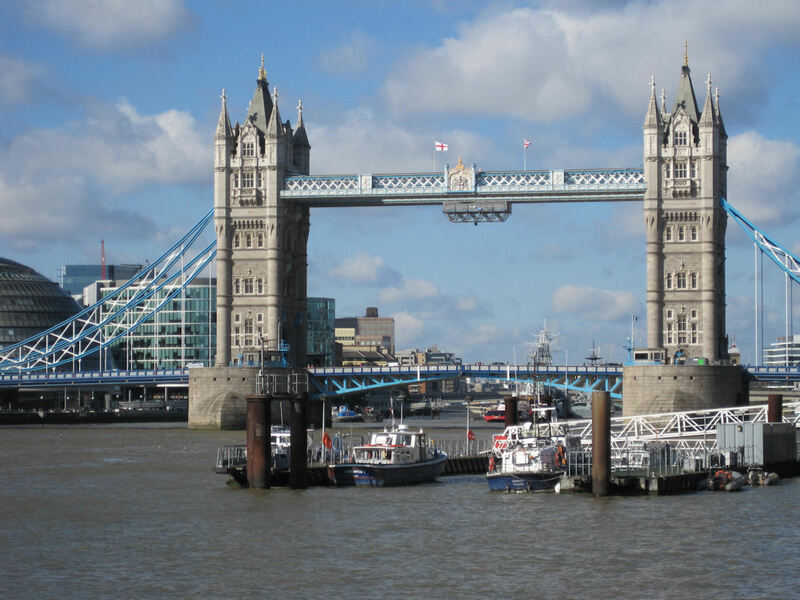 Despite a dire weather warning, we were blessed with a lovely sunny day which made our stroll along the sparkling Thames even more pleasant. 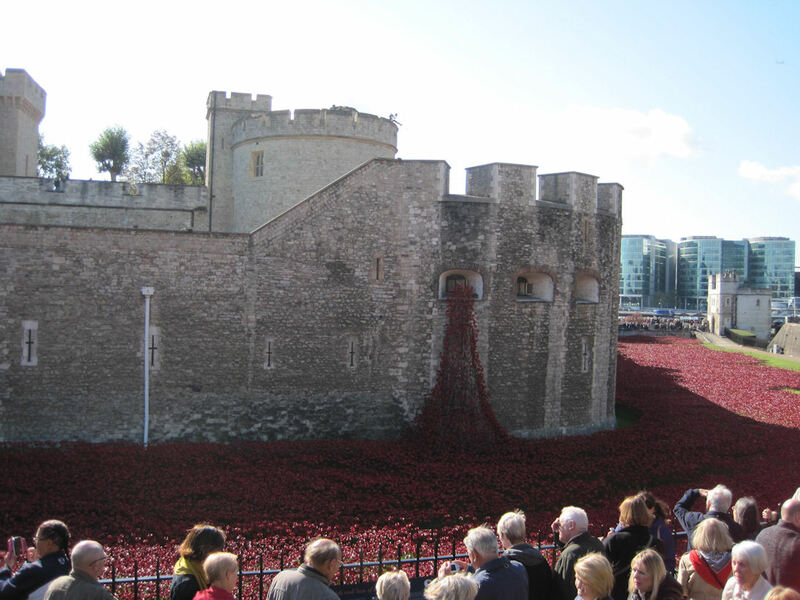 The starting point near the Tower of London gave us the opportunity to appreciate the wonderful display of poppies in the Tower moat and to reflect on the immense loss of life caused by the First World War. We then passed the site of the first London public toilet – a 64-seater established by Queen Matilda in the early 12th century! 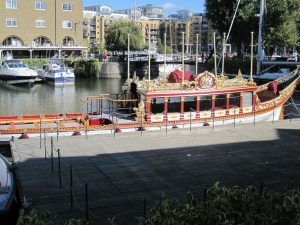 Next, we were able to admire St. Katherine’ Dock and the Queen’s barge, Gloriana, displaying it gilded decoration to great effect in the autumn sunshine. The dock was created in the 1820s to enable the theft-free transit of luxury goods such as silk, spices and ivory from ship to warehouse. Although it continues its link with the world of luxury even today, it is worth remembering that 11,000 poor people were displaced and lost their homes during its construction and the material removed was transferred to Pimlico and Belgravia to fill the swampy land there. And so on to Wapping where we saw the HQ of the Marine Police (founded in 1790) and heard some tales of their work when they were the only police force in London. Wapping High Street once contained 36 pubs and numerous brothels – a real sailors’ town – but today the area is quiet and upmarket. ‘The Town of Ramsgate’ pub (built 1545) still remains and near it is Execution Dock where pirates and their like were hung. Their bodies were then exposed to two river tides before being covered in pitch and displayed on gibbets to deter further miscreants. Today the spot is an attractive, grass-covered area with a good view out across the Thames. Our enjoyable morning finished at Wapping Station and I, for one, headed for home much better informed about this fascinating and historic area.